This interactive ice breaker session will open the event with an opportunity for all participants to meet with peers, and engage in discussion. Given the challenge of continuously remaining abreast of evolving rules for labeling in the US and abroad, having the unique opportunity to directly share knowledge and experience pertinent to new provisions among peers is of the highest value. Furthermore, participants in this warm-up session will not only gain critical insight into important requirements that might have been overlooked, but also build contacts with industry peers, kicking off the event networking platform. The EU MDR and IVDR have a significant impact on labeling operations with the introduction of provisions pertinent to symbols, enhanced language requirements, increased IFU content, and new documentation pieces such as the patient leaflet and implant card. In order to fulfill compliance in a timely manner, labeling teams require greater and more precise insight into areas of ambiguity, notably in the interpretation of unclear provisions and how to prepare strategies when critical platforms such as EUDAMED remain to be implemented. In the effort to shed light into the most prominent and timely challenges for labeling teams, notified body representatives will answer questions directly submitted by participants ahead of the conference. Kathleen Crowder, BAXTER INTERNATIONAL INC.
Haijuan (Jane) Li, DEKRA CERTIFICATION, INC.
With a large number of new provisions to integrate into regulatory labeling strategies in a short period of time, device and diagnostic manufacturers of all classes are currently at differing levels of advancement in the transition towards new EU requirements. Many labeling professionals are in search for detailed insight into other teams’ journeys towards achieving MDR and IVDR readiness, with a special focus on steps already taken, those still necessary to complete, and how labeling leaders are organizing remaining operations to reach the deadline. Gaining insight into peers’ experience’s in establishing and implementing MDR or IVDR compliance thus far is critical to regulatory teams in the effort of developing benchmarks for proactivity and overcoming challenges. 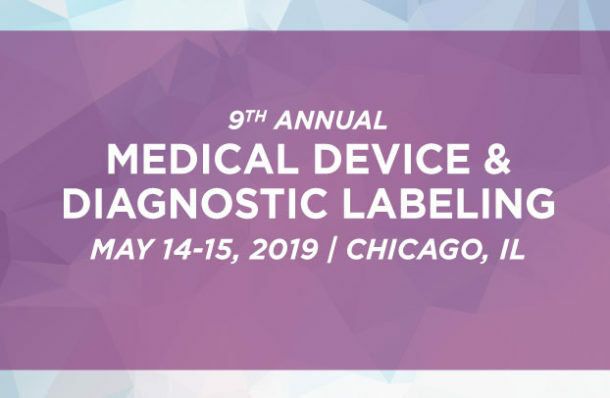 Ardi Batmanghelidj, President & CEO, INNOVATUM, INC.
With divergent transition periods, respectively 3 years for medical device manufacturers and 5 for IVD, labeling professionals currently seek detailed information relevant to managing regulatory revisions for each industry. In addition, certain areas of compliance contrast between both sets of rules, such as the level and nature of details to include in label materials per product class, adding to the increasing need to focus on distinct provisions within each field. Through a highly interactive discussion format, participants are given the opportunity to engage directly with peers from the same industry and dive deeper into common challenges, all while brainstorming potential remediation strategies. Kathleen Crowder, BAXTER INTERNATIONAL, INC.
With the continuous release of new regulatory requirements on an international level, professionals strive for access to timely insight into provisions which impact labeling operations. The Chinese market is of particular interest, as new rules have recently been issued and will require revisions to current labeling regulatory strategies. Participants in this session have the opportunity to explore practical approaches to strategy updating and best practices to meet compliance with evolving regulations in the Chinese market. Nancy Kellen, IDEM TRANSLATIONS, INC. In the effort of developing label artwork reflective of market-specific requirements, teams are currently aiming to shed light into ongoing grey areas in national and particularly international provisions pertinent to symbols. As a timely example, the EU MDR and IVDR are in the industry’s spotlight with unclear mandates focused on medical device or IVD identification via specific symbols that remain undefined, for which many raise concerns in the overall acceptance from authorities of a manufacturer-developed symbol. With an increase in similar challenges on the international level, labeling and regulatory teams strive for a deeper understanding of the establishment of internationally harmonized symbols through ISOs, as well as a practical approach to the proper development of company-specific symbols and how to compliantly implement a legend in associated documentation. In order for instructions for use to efficiently convey critical safety information to end-users across the globe, the goal must always be to maximize attention to details in all sections composing the document. It is therefore imperative for labeling teams to meet diverse regulatory requirements, all while ensuring content accuracy and intelligibility for diverse potential users. To this end, certain challenges including taking into account human factor needs, and formulating a comprehensive and market-relevant symbol glossary pose more difficulties than others to labeling professionals. With the intent to establish IFU development process optimization, manage content appropriately, and support leading edge production, it is essential for labeling teams to fully comprehend the overall IFU strategy workflow and how to best structure a successful process. With the immense value in peer-to-peer interaction and experience sharing, we wish to provide attendees with an opportunity to continue networking after the first day of the conference. Q1 Productions will arrange dinner reservations at local restaurants close to the conference hotel for those interested in joining a group of fellow participants for dinner on May 14th. Please note that dinner expenses must be covered by each participant individually.